We are all motivated by a myriad of passions – likes, dislikes, and history. The list is infinite. When I made a decision to call my Editor and tell him I wanted to photograph the inaugural U.S. Grand Prix in Austin Texas he thought I was out of my mind. From a business standpoint his concerns were valid. So exactly why did I find it necessary to invest a week of my life into that specific race? 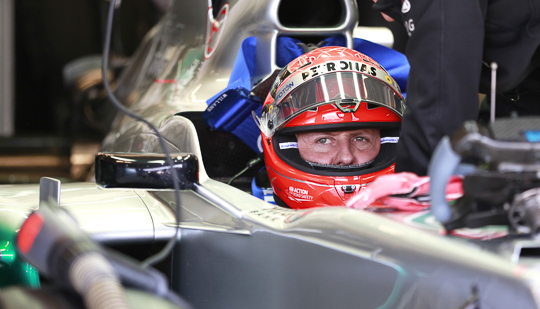 A few reasons were I never photographed Vettel, Hamilton, or Alonso and last but not least, Michael Schumacher and I knew this would be one of his last races. 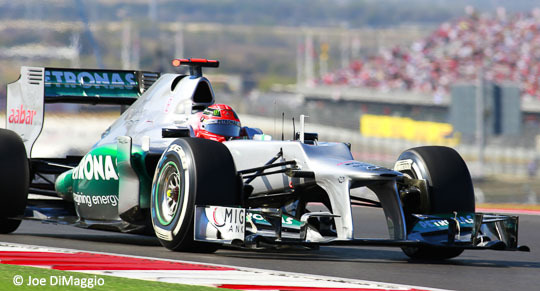 When he decided to return to Formula One I called a friend, Lewis Franck a great race car writer in the U.S. and we both agreed this was not a good idea for Michael to make a comeback. We were both genuinely concerned about his well-being after his retirement from Formula One, as it’s very hard to make a come back. Both Lewis and I were extremely happy that Michael’s second retirement from Formula One left him healthy and happy. Anyone who lived on the ragged edge of F1 and the inherent dangers of open-wheel racing at upwards of 200 mph for him to leave the sport healthy and happy with seven world championships – it just doesn’t get better than that. The minute I heard the word of Michael’s skiing accident my heart stopped and I immediately called Lewis. Race Car fans, let us say a prayer for Michael that he comes out of this okay. 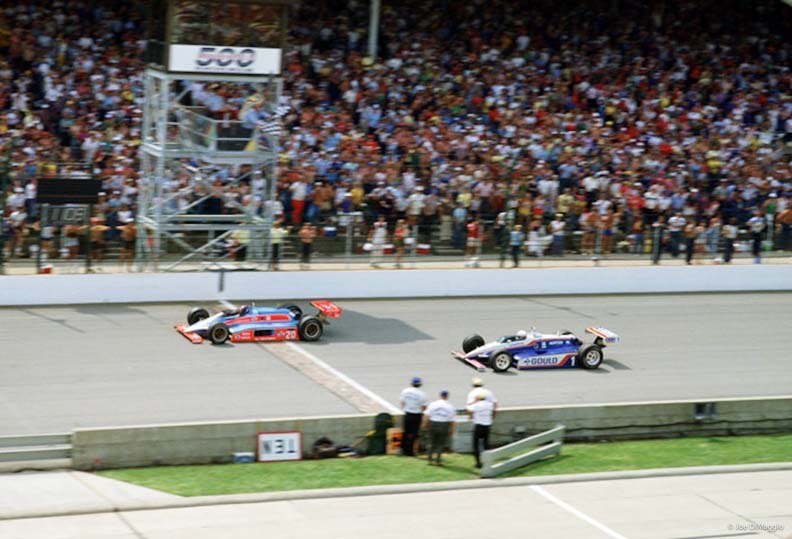 The tulips are coming up, seems like the snow is almost gone and the Indy cars are starting to run. Remember what I said, one camera, one lens, all the time. Here’s a shot from the old days with one of my assistants. Count the cameras. Thank god for assistants. Would hate to be looking at his MRI today. 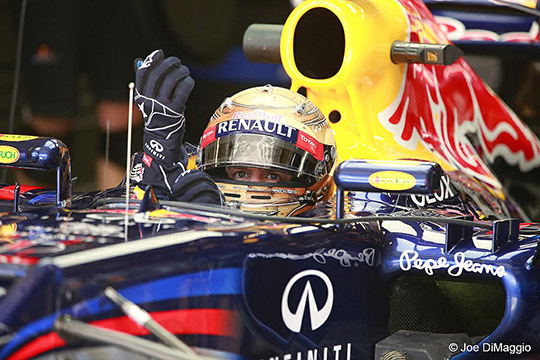 On a recent Formula One, which in many ways is much more difficult than the Indy 500, I used 2 cameras and 2 lenses. Two Canon 5D Mark III, one 80mm-200 f/2.8 zoom and a second 5D Mark III with grip and 400mm f/5.6 and carrying a 1.4 extender. Gitso Monopod and 6 lexar cards, 8 gigs up to 32 gigs Simple. Keep it simple. The photograph on the bottom was named by Sports Illustrated as the third best photograph of all time of the last 100 years. 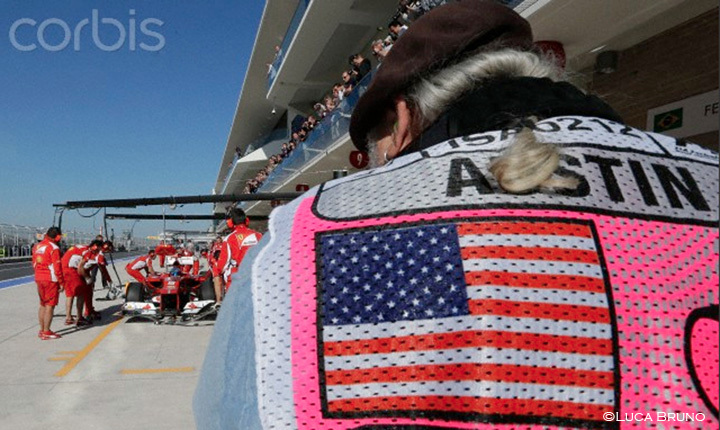 Much to my surprise, while I was going through the CORBIS archives on the Formula One photographs on the Austin, Texas race, there was a shot of the back of my head and my ponytail photographing Scuderia Ferrari, Fernando Alonso, and of course the beautiful American flag on my back. It was an honor to be assigned to shoot the race. I take my beret off to Luca Bruno, a world-class shooter who captured this moment. He knows a great ponytail when he sees one. Yes, I know I’m many blogs short – I’ve been running around a lot. 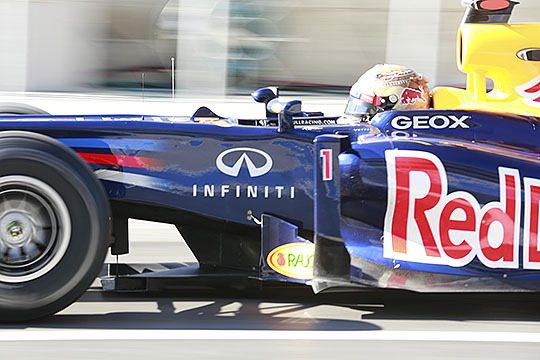 As I’m writing this blog I am watching the warm up lap of the final Formula 1 2012 Series. Last week, I had one of the greatest weeks of my life, as I had an opportunity to get back into photographing the F1 series that I started with many years ago. Whoa…I have to stop… as the current world champion Sebastian Vettel, just spun out on lap number two damaging his race car. 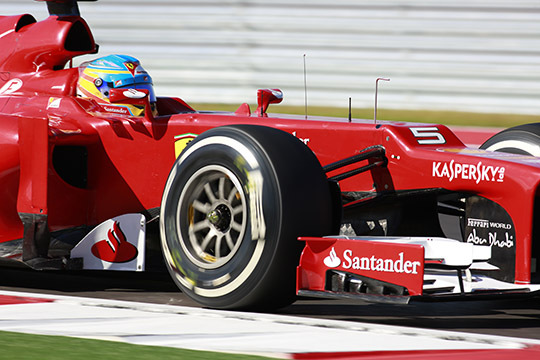 Both Alonso and Massa, from Ferrari, got great starts and Alonso just passed Massa and Webber to take second place. 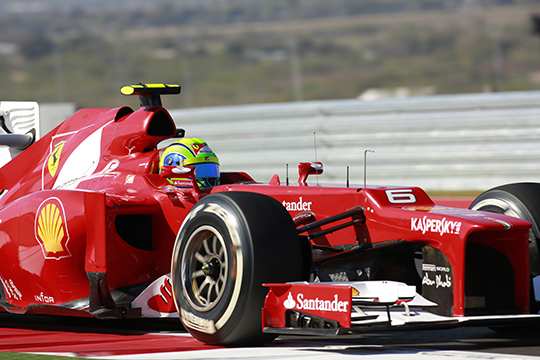 When I called my agent six months ago, I told him I wanted to do the Austin Texas F1 inaugural race. In all due respect he told me, I was out-of-my-mind. He said, “you’ve been away for quite a while and the chances of you getting a credential are slim to none.” Much to everyone’s surprise F1 keeps impeccable records and they checked my past credentials and not only gave me a credential but gave me a full blown credential with ALL access! As I shaped up at the credential center I ran into an old (long time) photographer friend from Mexico. He asked when was my last race as had not seen me in years. 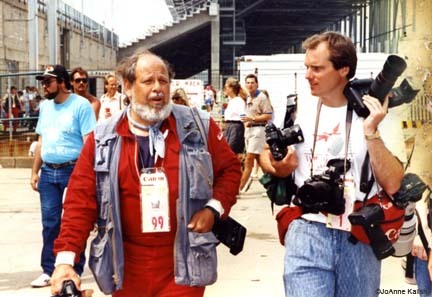 I said, “1991 and he replied, “that was 21 years ago.” Not until he said that, did I realize in the world of photography and F1 that was an eternity. If you ever talk to a Boxer before he gets in the ring or an actor before they go on stage they will confide in you they have butterflies. When I stepped into the pits it took about 30 seconds and the butterflies were gone and I felt I was home again. A week before I left for Austin I went to the closest interstate to practice high speed pans. I worked on both my inside and outside pans. I looked at my photos and picked the top thirty and got a base for what shutter speed I needed. 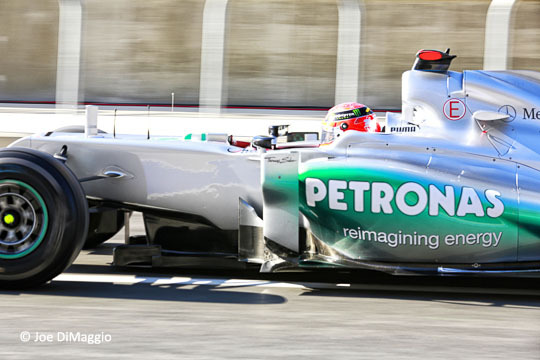 There is no doubt I will write more on F1 before the year is up. I’d like to end this by saying every person I met in the international and national Press as well as all the Texans I met were great and did everything they could to get me up to speed. The international photo brotherhood is alive and well. I’m cutting this short as I need to get back to watching the race finale. I’ll tell you a little story. On the inaugural Formula One auto race in Long Beach, California there were approximately 1500 photographers, each one of them looking for the best position for the start of the race to get the definitive Formula One start shot. Photographers like Neil Leifer who is considered one of the finest sports photographers in our time. Neil has a zillion SPORTS ILLUSTRATED covers. Along with Neil, there was Gary Nichermin, Louis Franck, Kevin Fitzgerald, Mike Phillips, myself, and a small, 101 pound JoAnne Kalish. Everybody marked their positions and waited for the cars to let loose with a burst of 36 exposures. There was a loud noise and the screeching of brakes and smoke all over the place. I followed a car moving to my left along with, I don’t know how many other photographers. At the end JoAnne said “Wow, did you get that shunt?” and I said yes, and everybody else said yes. Later on that evening we went to pick up our film, at the lab, and while there, everybody checked their film out on the light boxes provided. JoAnne opens up her first box of slides, and there was the entire motor series of the shunt at the start of the race, with James Hunt’s car literally on one wheel flipping up in the air, which, by the way, Mario Andretti ran double truck in his coffee table book. JoAnne said, “did you guys get this?” We’re all looking around wondering what she’s talking about and sure enough, she has the whole motor series of this shunt. We didn’t get it, we never even saw it. But she nailed it! That’s JoAnne, small ego, great talent. That was the first photo she had published in SPORTS ILLUSTRATED and they ran it again in SI’s YEAR IN PICTURES. There wasn’t another photographer at the race that captured the shots she got!